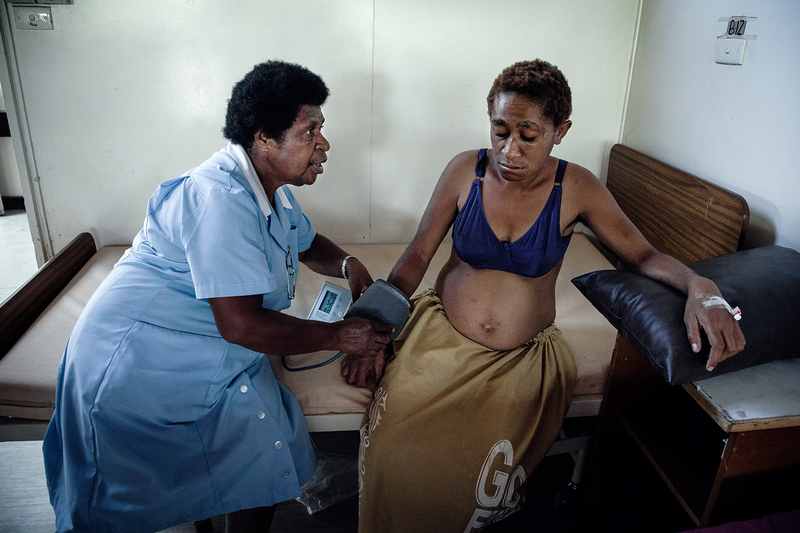 A nurse at the Antenatal Clinic in Port Moresby conducting a medical examination of five-months-pregnant Dorin, 23, who was brutally attacked by her husband and expelled from her house. Dorin’s drunken husband assaulted her, kicking her in the abdomen, and repeatedly striking her face against the wall. During the ultrasound the doctors did not hear the heartbeat of the unborn baby.